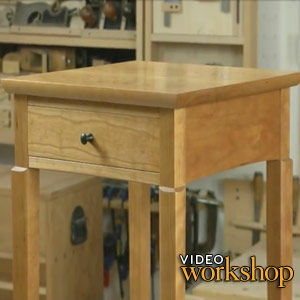 In this video workshop, Hack takes you through the entire process of building an elegant side table with a hallmark drawer that actually spins on a single pivot point. 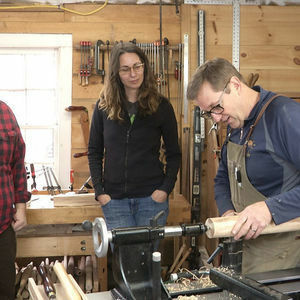 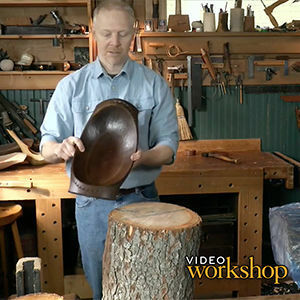 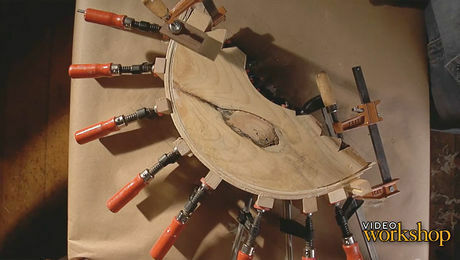 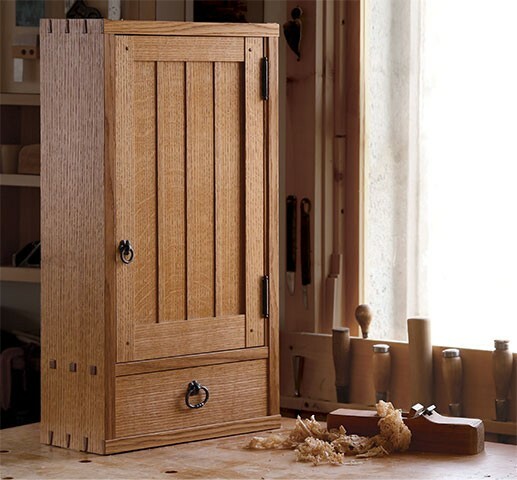 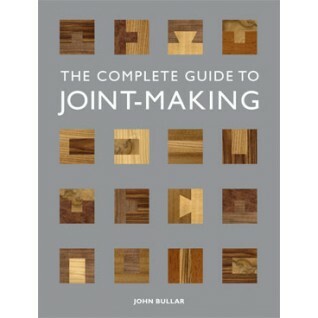 With splayed legs that are surfaced by hand, and subtle details like ebony leg cuffs and cockbeading, it’s the perfect project for more advanced woodworkers. 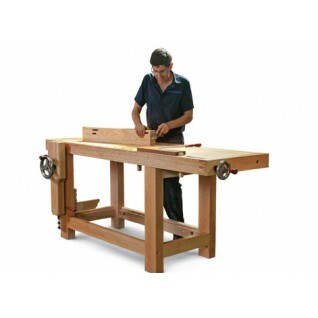 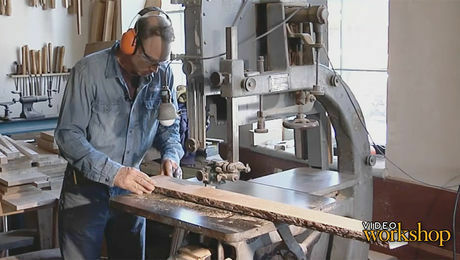 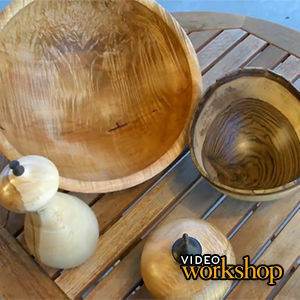 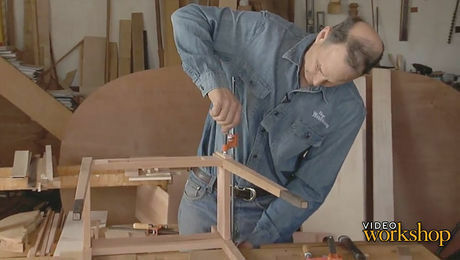 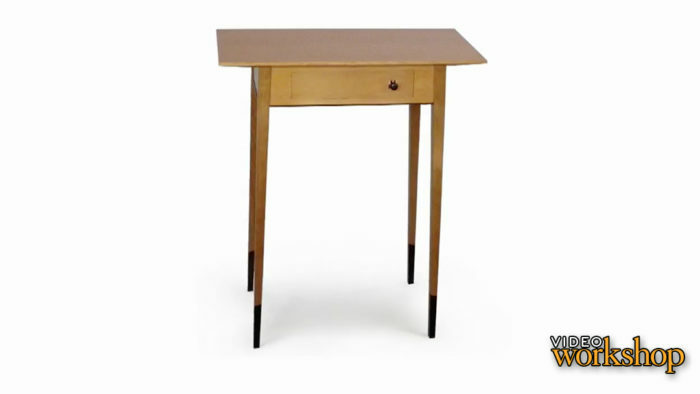 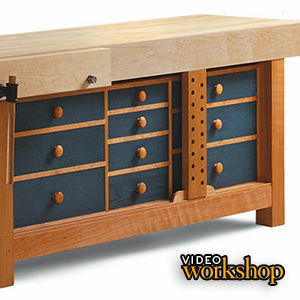 Garrett Hack provides an overview of the techniques involved in building a fir and cherry side table with a unique spinning drawer. 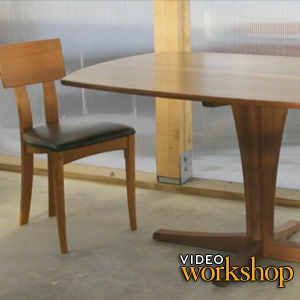 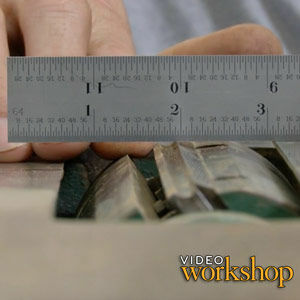 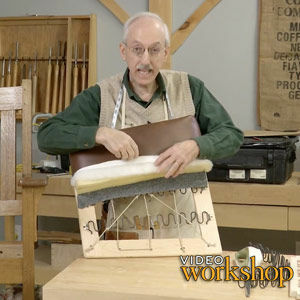 Learn how to use patterns to minimize waste and speed up production of identical parts when making tapered table legs. 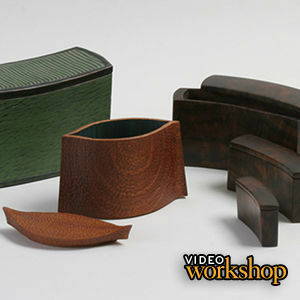 Learn how to dress up the bottoms of table legs with beautiful ebony cuffs that wrap around all four sides. 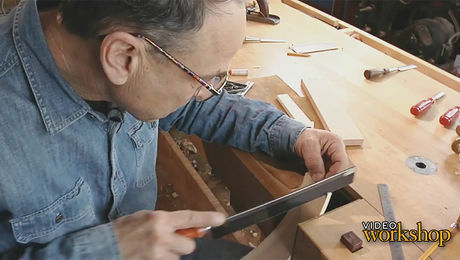 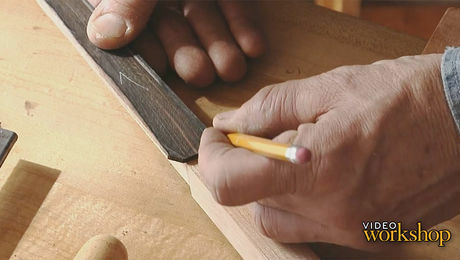 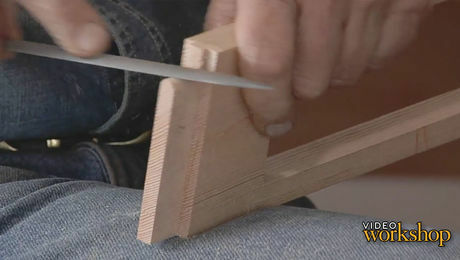 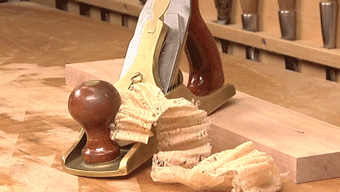 Cut and fine-tune the fit of your mortise-and-tenon joinery. 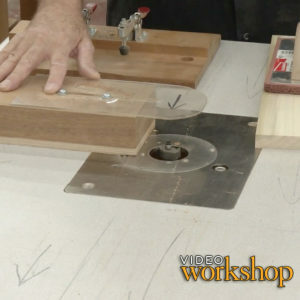 Prepare your table for glue-up with tips on tabletop buttons. 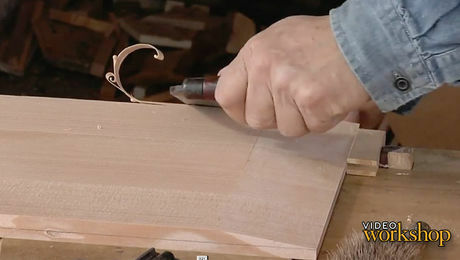 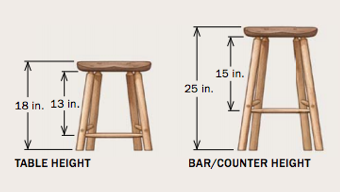 Then assemble the base of your table and trim the legs to their final length. 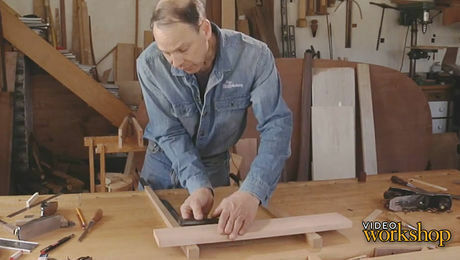 Garrett Hack builds a laminated drawer side of strong yet flexible ash as he continues building his fir and cherry side table. 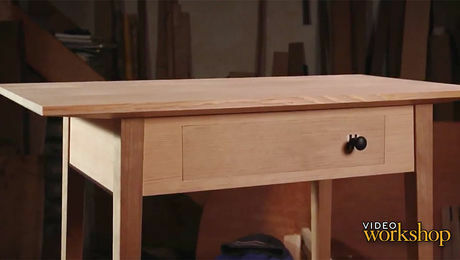 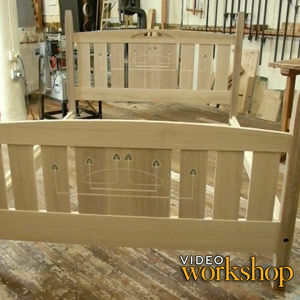 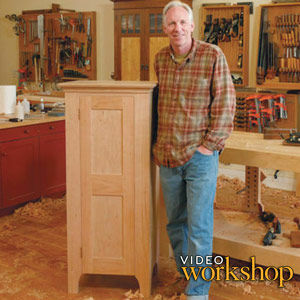 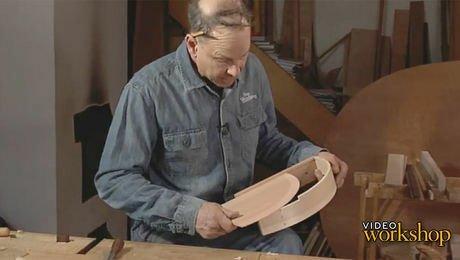 Garrett Hack shows you how to join a curved drawer side to a drawer front using halfblind dovetail joinery. 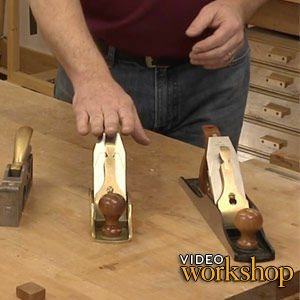 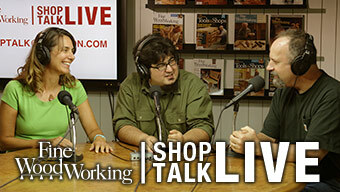 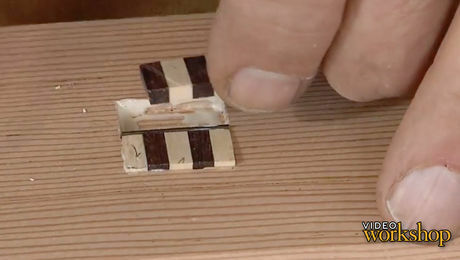 Learn how to set your drawer knob into a beautiful inlay of holly and rosewood. 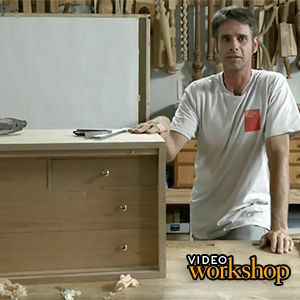 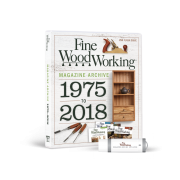 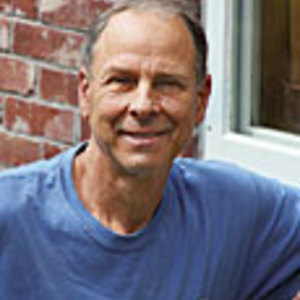 Learn how to cut a groove to accept your drawer bottom, then finish assembly of the drawer with a traditional, underbeveled bottom that slides right into place. 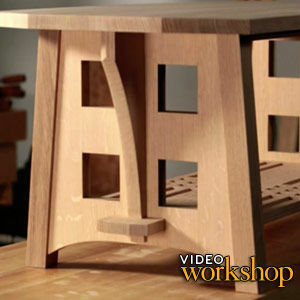 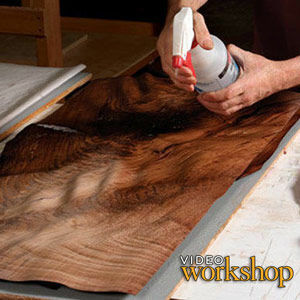 In this episode, learn how to create a tabletop with a handplaned underbevel, and add cockbeading to the underside of your side table's aprons.